Upon reaching the Attributes screen at character creation I noticed that the only way to display an attribute's description in the right pane was to assign or remove a point from it. Simply clicking the attribute wouldn't do. I would request that clicking the attribute's name on the left pane (or, even better, clicking anywhere in the rectangular space that hosts an attribute's name) brings up its description in the right pane. Pretty minor, but it would be convenient. Edited by AndreaColombo, 19 November 2017 - 02:27 AM. This has been mentioned more than once elsewhere but I figured I'd put it here to give it visibility with QA. These are some great suggestions! We've got some bugs in the database about improving the user friendliness of our character creation process, so I'll make sure that these are included. One more ease-of-use suggestion, this one straight out of Tyranny. I know there are more details on active buffs next to my character's portrait, but I don't get that for enemies. Also this screen shows my current afflictions and what inspirations will counter them, but I don't know the icons by heart; I'd want to mouse over them to see what inspiration I need to free myself of the affliction. Now, I realize this is probably going to be too much work for the team to consider it, but I'll ask this anyway. Currently it is unclear what the effect of Empower is on each given ability. Sure, it will make Minoletta's Minor Missiles cast more missiles. But what about Knock Down? More damage? Longer duration? Higher penetration? A combination of those? 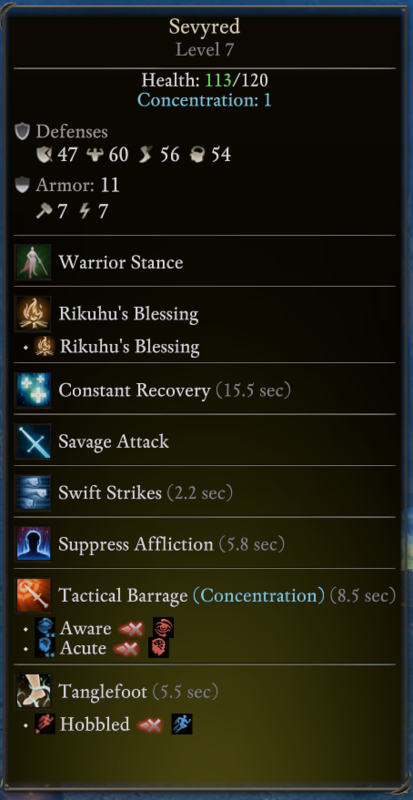 It would be good if each ability carried a section in their description that explained the effect Empower has on them, possibly with a revised stat block to show it at a glance. Edited by AndreaColombo, 21 November 2017 - 12:25 AM. If at least your first three suggestions make it into the game, it will be so much better, with a lot of easy access to important info, AndreaColombo! Another thought: It would be good if we could access a character's ability tree from the character record screen. As it is, we can only preview it at character creation and see it again at level up. Not sure what the plans are regarding this, but right now there doesn't seem to be a lot of clarity as to which abilities are affected by power level and in what way. 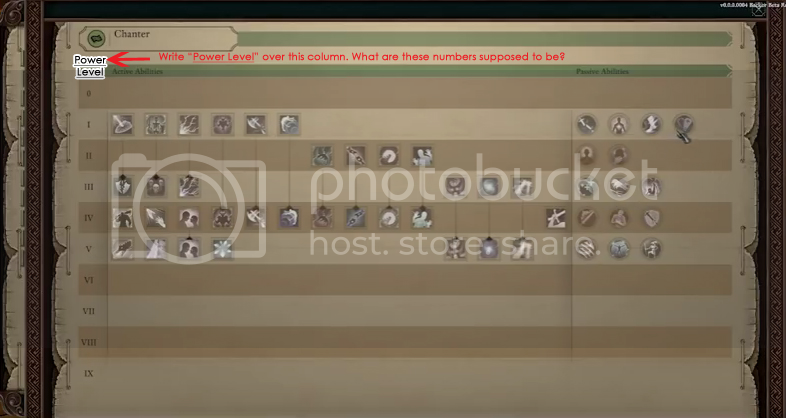 It would be good to have a list of abilities that scale by power level broken down by class, and for each class a description of how each ability is affected. Perhaps this is already planned for the glossary/cyclopedia part of the journal, but I figured I'd mention it here. 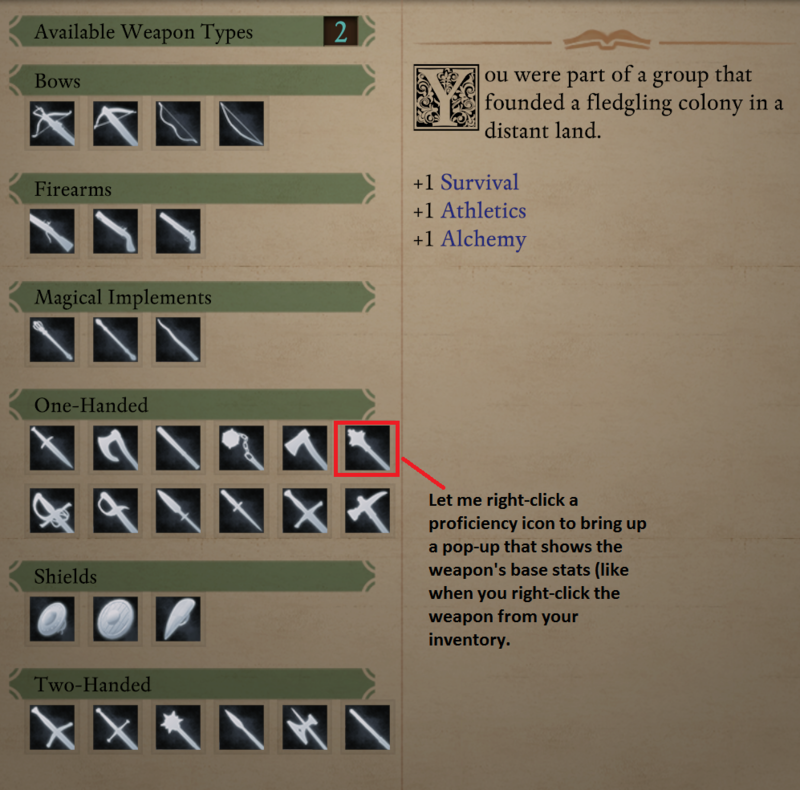 One more: When selecting weapon proficiency either at character creation or level-up, it would be nice to be able to right-click weapon icons to bring up a pop-up window that shows that weapon's base stats (like they appear when you right-click the weapon from your inventory.) This way you can make an informed decision on what proficiency to pick even if you don't know or don't remember each weapon's stats by heart. Edited by AndreaColombo, 04 February 2018 - 05:38 AM. Ideally I'd like it if when I click Empower all spell tooltips are modified to include the bonus power levels e.g. I click Empower, right-click Minoletta's Minor Missiles and the number of projectiles reflects the bonus power levels from Empower. Ideally there should be an Encylopedia entry breaking this down in detail. When trying to move an item from your inventory or quick slots into the stash, if you pick up the item and hover your cursor over a slot in the stash that is already occupied by another item, that slot will be color-filled with red to indicate that you can't drop your item there. If you try, your item will fly back into its original inventory or quick slot. This is not only completely unnecessary—it is downright frustrating when your stash is already packed full of stuff and you need to scroll down in search of a free slot instead of simply dump your item in a slot on the top row. It would be a lot more convenient if, when trying to move item A into a slot that is already occupied by B, A would take B's place in that slot and B would be moved by one slot to the right. Every other item would also be moved by one slot all the way to the last one. IIRC, this is how the stash used to behave in the original game, by the way. Should we make this a sticky so people easily find it and may keep adding feature requests? I figure it’d be more convenient to have all UI requests in one place. Edited by AndreaColombo, 31 December 2017 - 09:01 AM. Bumping because I agree with all of these suggestions. Yep! 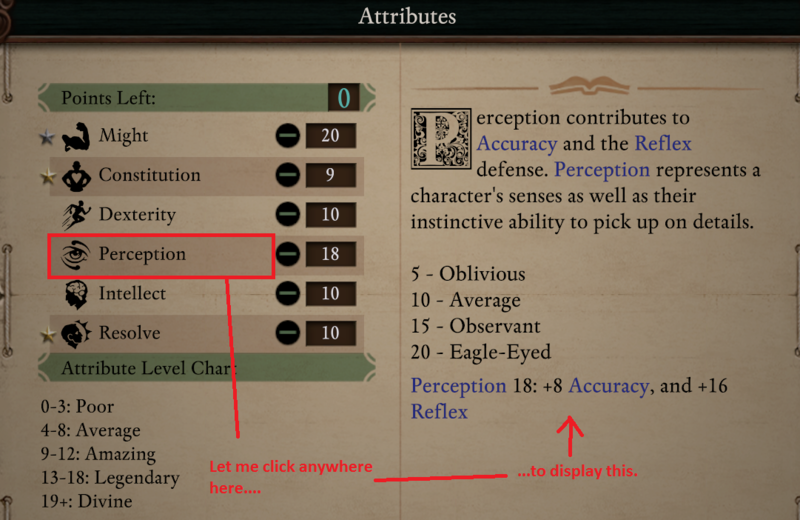 Including these nice suggestions would make a great first step for enhancing the accessibility of PoE2.